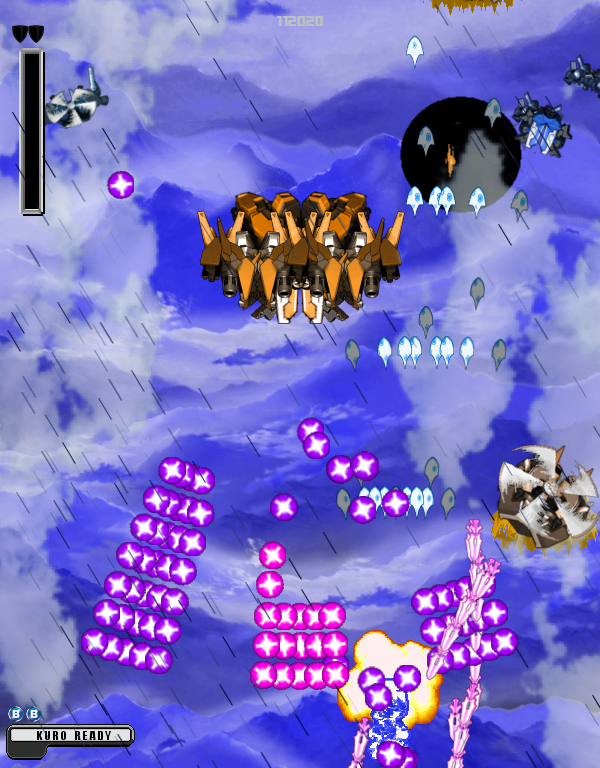 So basically to score, it is necessary to wait until the gauge of the shield is at the max and to launch the shield, the ship is invincible during a little time during which it is necessary to absorb the enemy bullets to transform them in coins which will make climb the gauge of the score multiplier. For this demo I made the music from beginning to end (I'm primarily a musician), the FX are drawn (and sometimes modified) from games like Metal slug, r type final, etc ...the ships are actually gundam party assemblies (z generation for example), I have had for dozens of hours. For the explosions it's still slightly modified Slug, dodonpachi for dumplings, sonic, dragon ball, there's everything but very often changed! For the scenario we will see later, it's done but hey, it's not interesting, moreover in the end it's never interesting. So, in the end why this demo ?? for you to give me your opinion on what goes, what will not, the stuff to improve or remove, but for pity please do not forget that it is the amateur job of a single guy behind a PC on his time free. Last edited by max330mega on Fri Mar 08, 2019 4:36 pm, edited 5 times in total. I don't know if it's just me, but this is really hard! I'd like to have the shield gauge fill up quicker and for it to last longer when it's activated. 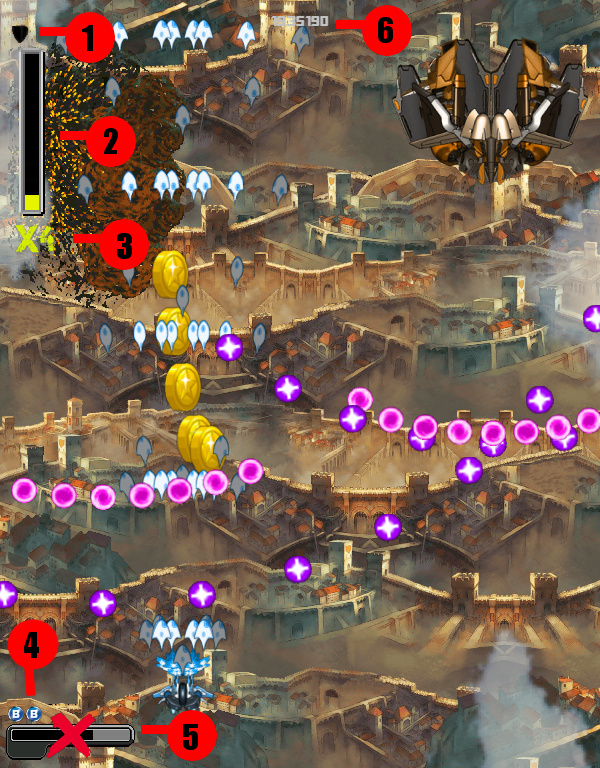 i m not sure it s pretty hard, but maybe to hard for a first level ? problem if i change the timing of the shield is that you will be half time of the game invincible. Wait for other players but i keep it in mind. Nice bullets and use of tiling on the background with the city walls. It’s not possible to enter the other menu buttons, are they working? If they are locked it might be an idea to add a denial sound, so the player knows that they are locked. It would be nice with flashing enemies when you hit them. 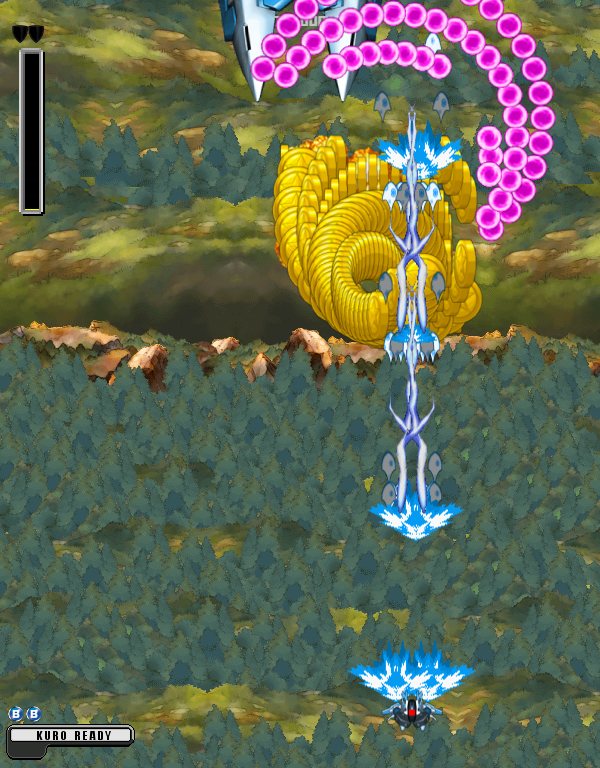 Some enemies has a lot of hp so it might be worth adding some kind of damage state or a hp bar, to show how much damage the player has dealt to them. There’s one big enemy that exits the screen forward and deal dmg with a big hit collision, maybe have it exit to the sides instead? 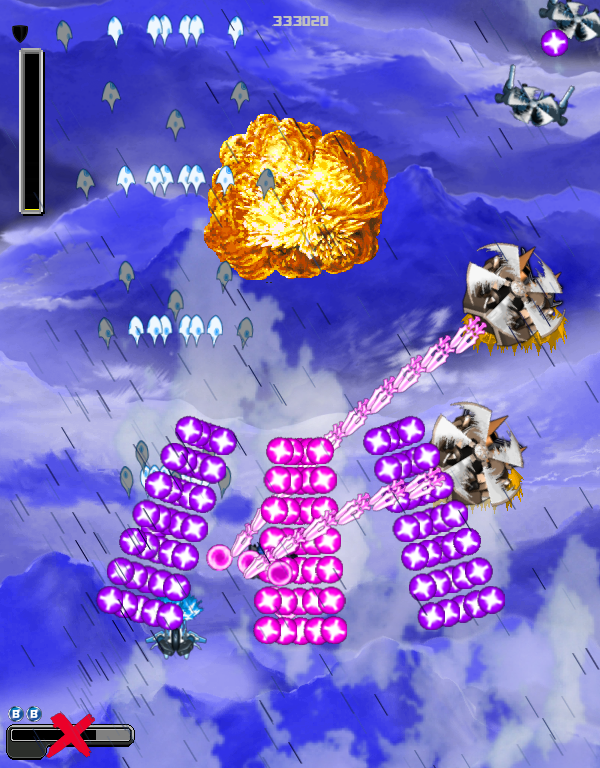 The difficulty level feels more like a level 4 or 5 from dodonpachi, then the first level. 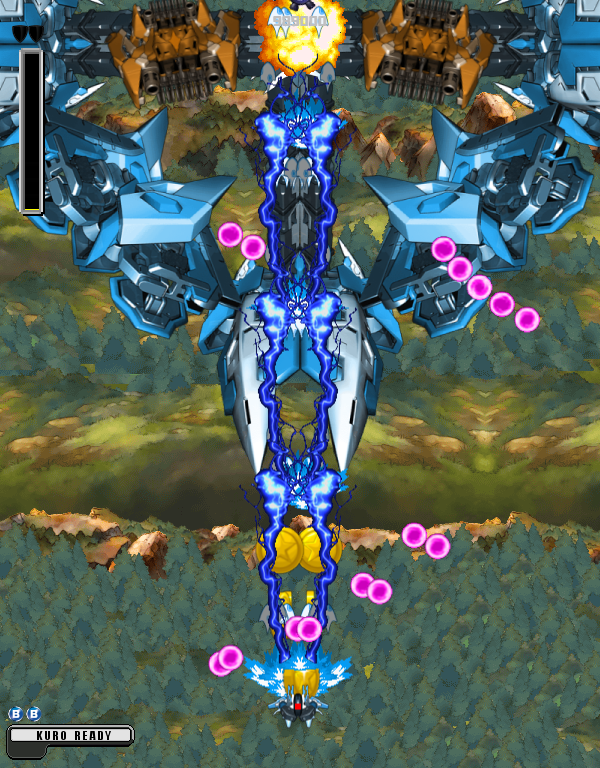 The level is also long for a first level, 2:20, compared to ex 1:20 from dodonpachi. add some pics ont the first post !! news: level 1/2/3 completed. Background of level 2 is now for level 4 !!! new video for the second stage ! !